This article is about the 2011 film. For the home movie film format, see Super 8 film. For the 1999 film, see 8mm (film). For the hotel chain, see Super 8 Motels. Super 8 is a 2011 American science fiction monster thriller film written, co-produced, and directed by J. J. Abrams and produced by Steven Spielberg. The film stars Joel Courtney, Elle Fanning, and Kyle Chandler and tells the story of a group of young teenagers who are filming their own Super 8 movie when a train derails, releasing a dangerous presence into their town. The film was shot in Weirton, West Virginia and surrounding areas, masquerading as the fictional town of Lillian, Ohio. Jeffrey Jacob Abrams is an American filmmaker. He is best known for his work in the genres of action, drama, and science fiction. Abrams wrote or produced such films as Regarding Henry (1991), Forever Young (1992), Armageddon (1998), Cloverfield (2008), Star Trek (2009), Star Wars: The Force Awakens (2015), and the upcoming Star Wars: Episode IX (2019). Super 8 was released on June 10, 2011,  in conventional and IMAX theaters in the United States. The film was well received, with critics praising the film for its nostalgic elements, visual effects, musical score, and for the performances of the cast, in particular, both Fanning and newcomer Courtney's acting was cited, while also being compared to such thematically similar films as E.T. 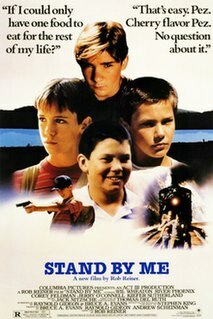 , Stand by Me , and The Goonies . Super 8 was also a commercial success, grossing over $260 million against a $50 million budget. The film received several awards and nominations, primarily in technical and special effects categories, Giacchino's musical score, as well as for Courtney and Fanning's performances. IMAX is a system of high-resolution cameras, film formats, film projectors and theaters known for having very large screens with a tall aspect ratio and steep stadium seating. Graeme Ferguson, Roman Kroitor, Robert Kerr, and William C. Shaw were the co-founders of what would be named the IMAX Corporation, and they developed the first IMAX cinema projection standards in the late 1960s and early 1970s in Canada. Unlike conventional projectors, the film runs horizontally so that the image width is greater than the width of the film. When IMAX was introduced, it was a radical change in the movie-going experience. Viewers were treated to the scene of a gently curved giant screen more than seven stories tall and steep stadium seating that made for a visually immersive experience, along with a sound system that was far superior to the audio at typical theaters in the years prior to the advent of THX. Some IMAX theaters have a dome screen geometry which can give the viewer an even more immersive feel. Over the decades since its introduction, IMAX evolved to include "3D" stereoscopic films, introduced in January 1998, and then began to proliferate with a transition away from analog film into the digital era. Beginning in May of 1991, a visceral dimension of the movie experience was added by having the audience's seats mounted on a full-motion platform as an amusement park ride in IMAX ride film theaters. Switching to digital projection, introduced in July 2008, came at a steep cost in image quality, with 2K projectors having roughly an order of magnitude less resolution. Maintaining the same 7-story giant screen size would only make this loss more noticeable, and so many new theaters were being built with significantly smaller screen sizes, yet being marketed with the same brand name of "IMAX". These newer theaters with the much lower resolution and much smaller screens were soon being referred to by the derogatory name "LieMAX", particularly because the company did not make this major distinction clear to the public, going so far as to build the smallest "IMAX" screen having 10 times less area than the largest while persisting with the exact same brand name. Since 2002, some feature films have been converted into IMAX format for displaying in IMAX theatres, and some have also been (partially) shot in IMAX. By late 2017, 1,302 IMAX theatre systems were installed in 1,203 commercial multiplexes, 13 commercial destinations, and 86 institutional settings in 75 countries, with less than a quarter of these having the capability to show 70mm film at the resolution of the large format as originally conceived. E.T. the Extra-Terrestrial is a 1982 American science fiction film produced and directed by Steven Spielberg, and written by Melissa Mathison. It features special effects by Carlo Rambaldi and Dennis Muren, and stars Henry Thomas, Dee Wallace, Peter Coyote, Robert MacNaughton, Drew Barrymore, and Pat Welsh. It tells the story of Elliott (Thomas), a boy who befriends an extraterrestrial, dubbed "E.T. ", who is stranded on Earth. Elliott and his siblings help E.T. return to his home planet, while attempting to keep him hidden from the government. In 1979, Deputy Sheriff Jack Lamb of Lillian, Ohio, and his 14-year-old son Joe, mourn the death of his mother Elizabeth, who was killed in a workplace accident. Jack blames Elizabeth's co-worker, Louis Dainard, as she was covering his shift because he had a hangover. All Joe has left is a locket that belonged to her. Four months after Elizabeth's funeral, Joe's best friend Charles Kaznyk decides to make a low-budget zombie movie for a film competition. Charles enlists the help of Preston Scott, Martin Read, and Cary McCarthy, as well as Dainard's daughter, Alice. Though their fathers would be furious, Joe and Alice become close to each other. Charles has them film a scene at a train depot at midnight. During a rehearsal, a train approaches and Charles has them start filming as the train passes to add 'production value'. While filming, Joe witnesses a pickup truck drive onto the tracks and ram the train, causing a massive derailment that destroys the train, the depot and the surrounding area, and separates the children from each other amidst the chaos. Joe finds himself near one container, the loading door of which is violently thrown off by an unseen force. Eventually the kids regroup and wander amid the wreckage, finding crates full of strange white cubes, then discover the truck's driver is Dr. Woodward, their biology teacher. Woodward, barely alive, warns them at gunpoint to forget what they have all seen, or they and their families will be killed. The children flee the scene when a convoy from the local Air Force base, led by Col. Nelec, arrives at the scene. Nelec discovers an empty super 8 film box, and assumes the event was deliberately captured on camera. Super 8mm film is a motion picture film format released in 1965 by Eastman Kodak as an improvement over the older "Double" or "Regular" 8 mm home movie format. While Joe and Charles wait for their film to be developed, the town experiences strange events: All the dogs run away, several townspeople go missing, the electrical power fluctuates and electronic items are stolen. Overhearing military communications, Jack approaches Nelec to figure out what they are up to, but Nelec has him arrested. Nelec orders flamethrowers be used to start a wildfire outside the town as an excuse to evacuate people to the base. As soldiers begin the evacuation, Joe and Charles watch the derailment footage and discover that a large creature escaped from the train. At the base, Alice's father tells Joe the creature has abducted her. Joe, Charles, Martin, and Cary convince Jen, Charles' older sister, to pretend to hit on Donny, a worker from the town camera store, so they can get into town to rescue Alice. They break into Dr. Woodward's storage trailer and discover films and documents from his time as a government researcher. They film reveals the Air Force captured an alien when it crash-landed in 1958, and ran experiments on it while withholding its ship that is composed of the strange white cubes, allowing it to shape-shift. Woodward was one of the scientists experimenting on the alien. At one point, the alien grabbed Woodward, apparently establishing a psychic connection with him. Now understanding the alien, he was compelled to help it escape from Earth. He found out about the train, years later, and wanted to help the creature. Nelec captures the boys, but while returning them to the base, the alien attacks their bus. The boys escape as the alien attacks and kills the airmen. Meanwhile, Jack escapes from the base's stockade and gets to the shelter housing the townsfolk. Preston tells him Joe is planning to rescue Alice. Jack and Dainard agree to put their differences aside to save their kids. In town, the military attempts to kill the alien but their hardware goes haywire in its presence, resulting in significant collateral damage. Martin is injured, so Charles stays behind with him while Joe and Cary head to the cemetery garage, where Joe had earlier seen something suspicious. They find a massive underground cavern in which the alien is creating a device from the town's stolen electronics, attached to the base of the tower. The alien also has captured several people, including Alice, hanging unconscious from the ceiling, that it uses for food. Using Cary's firecrackers as a distraction, Joe frees Alice and the others, but the three kids are trapped. Understanding' the creature's condition, Joe steps forward. The alien grabs Joe, who quietly speaks to the alien, telling it that "bad things happen" but that the alien "can still live". The alien releases him and departs, allowing the three to return to the surface. As Joe and Alice reunite with their fathers, people watch as various metal objects are pulled from all over town to the top of the water tower by an unknown force. The white cubes are also pulled in to reassemble the alien's spaceship, using the water tower as its base. The alien enters the spaceship and the locket is then drawn from Joe's pocket towards the tower. After a moment, he lets it go, completing the ship. As the ship rockets into space, Joe takes Alice's hand. The final Super 8 zombie film the children were making runs at the end of the movie beside the credit roll. Joel Courtney is an American actor, best known for his role of Joseph "Joe" Lamb in the 2011 Steven Spielberg/J. 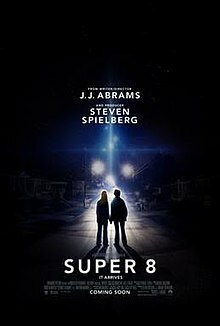 J. Abrams film Super 8, for which he received critical acclaim and a Saturn Award. He also played the lead role of Peter Moore on The CW's series The Messengers. Mary Elle Fanning is an American actress and fashion model. Riley Griffiths is an American actor, best known for his role as Charles Kaznyk in the 2011 film, Super 8. Bicycles used in the movie Super 8 on display at Bicycle Heaven. J.J. Abrams had the idea to start a film by showing a factory's "Accident-Free" sign long before he came up with the rest of the ideas for the film. Super 8 was actually the combination of two ideas; one for a film about kids making their own movie during the 1970s, and another for a blockbuster alien invasion film. Abrams combined the ideas, worried that the former would not attract enough attendance. Cloverfield is a 2008 American found-footage monster film directed by Matt Reeves and written by Drew Goddard. The film stars Michael Stahl-David, Odette Yustman, T.J. Miller, Jessica Lucas, Lizzy Caplan, and Mike Vogel. The plot follows six young New York City residents fleeing from a massive monster and various other smaller creatures that attack the city while they are having a farewell party. Bad Robot is an American film and television production company led by J. J. Abrams. Under its Bad Robot Productions division, the company is responsible for the television series Alias, Lost, Fringe, Person of Interest, Revolution and Westworld alongside the feature-length films Cloverfield, Star Trek, Super 8, Star Trek Into Darkness, Mission: Impossible – Ghost Protocol, Mission: Impossible – Rogue Nation, Star Wars Episodes VII and IX, 10 Cloverfield Lane, Star Trek Beyond, The Cloverfield Paradox, Mission: Impossible – Fallout, and Overlord. Abrams wanted to find new faces to play the parts in his movie. He conducted a national talent search in order to find the child actors to play each of the leading roles. Courtney (who was hoping to land a part in a commercial) was picked out of many boys because Abrams found something "different" in him. Riley Griffiths sent Abrams a tape of himself in order to land the part of Charles. During the ending credits, the songs "Don't Bring Me Down" by Electric Light Orchestra and "My Sharona" by The Knack are featured. The Blondie song "Heart of Glass" and The Cars song "Bye Bye Love" are also featured in the film. All music composed by Michael Giacchino (although track 33, "The Case", is credited on the liner notes to the film character Charles Kaznyk). The film was released on June 9, 2011, in Australia; June 10, 2011, in the United States; and August 5, 2011, in the United Kingdom. On June 8, Paramount also launched a “Super 8 Sneak Peek” Twitter promotion, offering fans a chance to purchase tickets for an advance screening, taking place on June 9, 2011, in the United States. The film opened at #1 in the U.S. Box Office for that weekend, grossing about $35 million. Roger Ebert gave the film 3½ stars out of 4 and said, "Super 8 is a wonderful film, nostalgia not for a time but for a style of film-making, when shell-shocked young audiences were told a story and not pounded over the head with aggressive action. Abrams treats early adolescence with tenderness and affection." Richard Corliss of Time gave it a similarly positive review, calling it "the year's most thrilling, feeling mainstream movie". He then named it one of the Top 10 Best Movies of 2011. 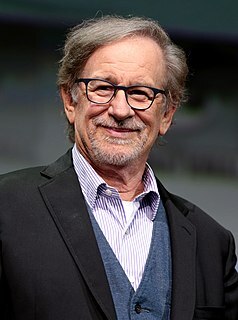 Jamie Graham of Total Film gave the film a perfect five-star rating, saying, "like Spielberg, Abrams has an eye for awe, his deft orchestration of indelible images – a tank trundling through a children's playground, a plot-pivotal landmark framed in the distance through a small hole in a bedroom wall – marking him as a born storyteller". 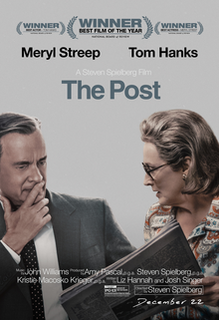 Christopher Orr of The Atlantic called it a "love letter to a cinematic era", while Claudia Puig of USA Today praised it as "a summer blockbuster firing on all cylinders". In addition to these awards, the film was short-listed for the Academy Award for Best Visual Effects  and Best Original Score, and the BAFTA Award for Best Original Screenplay, Best Sound, and Best Special Visual Effects. 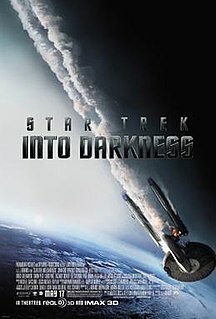 Paramount submitted it for several considerations for the BAFTAs including Best Film, Best Director (J. J. Abrams), Best Original Screenplay, Leading Actor (Kyle Chandler), Supporting Actress (Elle Fanning), Supporting Actor (Joel Courtney, Gabriel Basso, Noah Emmerich), Cinematography, Production Design, Editing, Costume Design, Original Music, Sound, Makeup and Hair, and Special Visual Effects. A.I. Artificial Intelligence, also known as A.I., is a 2001 American science fiction drama film directed by Steven Spielberg. The screenplay by Spielberg and screen story by Ian Watson were loosely based on the 1969 short story "Supertoys Last All Summer Long" by Brian Aldiss. The film was produced by Kathleen Kennedy, Spielberg and Bonnie Curtis. It stars Haley Joel Osment, Jude Law, Frances O'Connor, Brendan Gleeson and William Hurt. Set in a futuristic post-climate change society, A.I. tells the story of David (Osment), a childlike android uniquely programmed with the ability to love. The Saturn Award for Best Director is one of the annual awards given by the American Academy of Science Fiction, Fantasy & Horror Films. The Saturn Awards, which are the oldest film-specialized awards to reward genre fiction achievements, in particular for science fiction, fantasy, and horror, included the Best Director category for the first time at the 3rd Saturn Awards, for the 1974/1975 film years. War of the Worlds is a 2005 American science-fiction action film directed by Steven Spielberg and written by Josh Friedman and David Koepp, loosely based on the 1898 novel of the same title by H. G. Wells and jointly produced and released by Paramount Pictures and DreamWorks Pictures. It stars Tom Cruise, Dakota Fanning, Justin Chatwin, Miranda Otto, and Tim Robbins, with narration by Morgan Freeman. In the film, an American dock worker is forced to look after his children, from whom he lives separately, as he struggles to protect them and reunite them with their mother when extraterrestrials invade the Earth and devastate cities with towering war machines. Michael Giacchino is an American Film Score Composer. He has received an Academy Award, a Primetime Emmy Award, and three Grammy Awards). Matthew George Reeves is an American screenwriter, director, and producer. 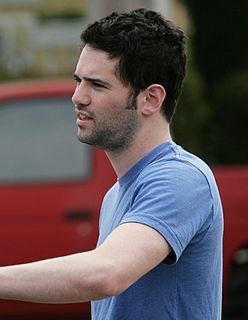 Dan Trachtenberg is an American filmmaker and podcast host. Born into a Jewish family, he cites Roman Polanski's Rosemary's Baby and the Kabbalistic idea of the Golem as formative influences on his desire to become a director. He directed the 2016 horror-thriller film 10 Cloverfield Lane which earned him a Directors Guild of America Award nomination for Outstanding Directing - First-Time Feature Film. The 2011 MTV Movie Awards were held on June 5, 2011 at the Universal Amphitheatre and were hosted by Jason Sudeikis. Neville Page is a British-American film and television creature and concept designer. Born in England, he was raised in Manchester, and Chicago, Illinois. He was inspired by science fiction, including Star Wars, and makeup artist Rick Baker's work in An American Werewolf in London. Page moved to Hollywood at the age of 17, and gained roles as an actor. He graduated with honors in 1990 from the Art Center College of Design with a degree in industrial design, and went on to teach students in Switzerland. He focused his work on design consulting along with business partner Scott Robertson. 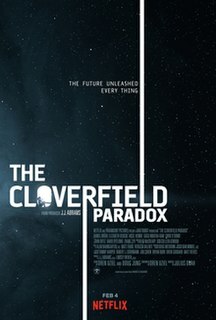 Cloverfield is an American science fiction horror anthology film series and media franchise created and produced by J. J. Abrams consisting of three films, viral marketing websites linking the films together and a tie-in manga to the first film titled Cloverfield/Kishin (2008), set in a shared fictional universe referred to as the "Cloververse". The franchise as a whole deals with creatures from other dimensions attacking Earth throughout various decades, all as a repercussion of an experiment by an astronaut team aboard the Cloverfield Station in outer-space. Each film depicts the reality-altering effects of their study, which was meant to find a new energy source replacing the planet's depleted resources, only to open portals for assault from various beasts from deep space. The Cloverfield Paradox is a 2018 American science fiction horror film directed by Julius Onah and written by Oren Uziel, from a story by Uziel and Doug Jung, and produced by J. J. Abrams's Bad Robot Productions. 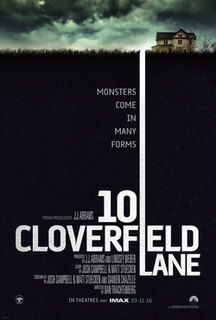 It is the third installment in the Cloverfield franchise, following Cloverfield (2008) and 10 Cloverfield Lane (2016). The film stars Daniel Brühl, Elizabeth Debicki, Aksel Hennie, Gugu Mbatha-Raw, Chris O'Dowd, John Ortiz, David Oyelowo and Zhang Ziyi, and follows an international group of astronauts aboard a space station who, after using a particle accelerator to try to solve Earth's energy crisis, must find a way home after accidentally traveling to an alternate dimension. ↑ Kaufman, Amy (June 9, 2011). "Movie Projector: 'Super 8' faces off against 'X-Men'; both will destroy 'Judy Moody'". Los Angeles Times . Tribune Company . Retrieved June 11, 2011. ↑ "A Shot by Shot Description of the SUPER 8 Teaser Trailer; Steven Spielberg Is Producing, J.J. Abrams Is Directing". Collider.com. May 4, 2010. 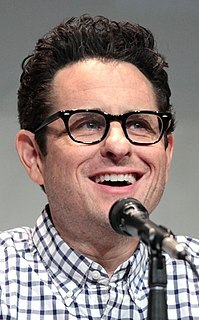 ↑ "We've Got Details on J.J. Abrams's Secret Movie Trailer for Super 8". New York . May 4, 2010. ↑ "J.J. Abrams's Cloverfield-esque Super 8 Has 'Absolutely Nothing to Do With Cloverfield'". New York . May 5, 2010. ↑ Fernandez, Borys; Kit (May 7, 2010). "Details surface on spooky Abrams-Spielberg project". Film Journal International . ↑ "More 'Super 8' Viral Goodness Comes Via Snail Mail". Bloody Disgusting . July 16, 2010. ↑ "Super 8 Shooting Schedule for Weirton". Super 8 News. September 23, 2010. Retrieved June 6, 2011. 1 2 Grant, Christopher. "Portal 2 contains an 'interactive teaser' for JJ Abrams' Super 8". Engadget. Retrieved July 30, 2015. 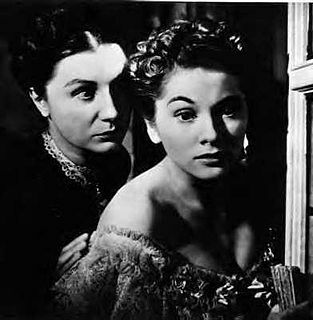 ↑ "The ASC -- American Cinematographer: Monster Out of the Box". ↑ "Super 8". Box Office Mojo. Retrieved October 24, 2011. ↑ Watercutter, Angela (June 7, 2011). "And the Super 8 Secret Is ..." Wired. Retrieved October 25, 2011. ↑ Smith, Matthew (September 17, 2011). "Super 8 Blu-ray (Updated)". Blu-ray.com. Retrieved October 25, 2011. ↑ Sarafin, Jarrod (September 15, 2011). "Super 8 Blu-ray Date Set". Mania. Retrieved October 25, 2011. ↑ "Weekend Report: 'Super 8' Checks In at Top Spot". ↑ Sosa, Chris (June 13, 2011). "Review: 'Super 8′ an Engaging and Thrilling Throwback". Gather. Retrieved June 11, 2011. ↑ Ebert, Roger (June 8, 2011). "Super 8". Chicago Sun-Times . Retrieved January 1, 2013. ↑ Corliss, Richard (June 2, 2011). "Super 8: Just as Great as You Hoped It Would Be". Time . 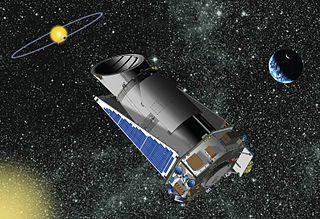 Retrieved June 5, 2011. ↑ Corliss, Richard (December 7, 2011). "The Top 10 Everything of 2011 - Super 8". Time . Retrieved December 13, 2011. ↑ Graham, Jamie. "Super 8". GamesRadar. Retrieved June 2, 2011. ↑ Croce, Fernando F. (June 18, 2011). "Notebook Reviews: J.J. Abrams' Super 8". MUBI. Retrieved July 10, 2011. ↑ Charity, Tom (June 9, 2011). "Review: 'Super 8' is a real throwback". CNN . Retrieved July 10, 2011. ↑ Edelstein, David (June 5, 2011). "A Really Close Encounter". New York . Retrieved July 10, 2011. ↑ 4th Annual Coming-of-Age Movie Awards Recipients Named, theskykid.com. ↑ 10th Annual TSR Movie Awards – The Results – 2011, thescorecardreview.com, February 26, 2012. ↑ "Nominations for the 38th Annual Saturn Awards". saturnawards.org. Archived from the original on January 22, 2013. Retrieved February 29, 2012. ↑ "CAS Press Release". cinemaaudiosociety.org. Archived from the original on July 4, 2012. Retrieved February 18, 2012. ↑ 2011 BAM Award Winners, themovierat.com, January 11, 2012. ↑ Phoenix Film Critics Applaud The Artist, Awards Daily, December 27, 2011. ↑ 2011 International Press Academy, December 2011. ↑ "2011 SCREAM Awards Nominees and Winners". about Entertainment. Retrieved February 26, 2013. ↑ "2011 Teen Choice Awards". Archived from the original on January 3, 2012. ↑ "17th Annual Critics' Choice Movie Awards (2012) – Best Picture: The Artist". Critic's Choice. Retrieved February 26, 2015. ↑ 2012 Golden Reel Award Nominees: Feature Films, mpse.org. ↑ "Tune in Tomorrow for the 2nd Annual YouReviewer Awards!". ↑ Prinzivalli, Fallon. "2012 MTV Movie Awards Winners: The Full List". MTV. Retrieved December 5, 2014. ↑ "15 Finalists Set for Visual Effects Oscar".